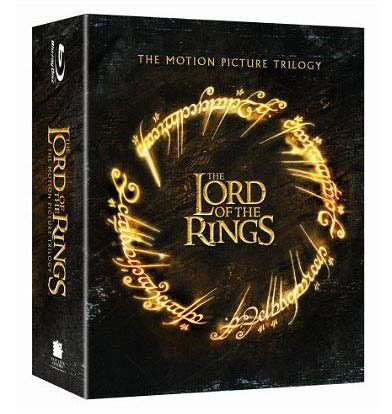 Fans have been waiting for what seems forever, and now it appears Amazon is finally taking pre-orders for the “The Lord Of the Rings: The Motion Picture Trilogy” on Blu-ray Disc. ‘The Trilogy’ doesn’t have a street date yet, but Amazon currently has the pre-orders priced at $69.99 (30% less than the suggested box price of $99.99). The specs on the discs, according to Amazon put the widescreen format at 2.35:1 aspect ratio and you can guess 1080p video resolution. 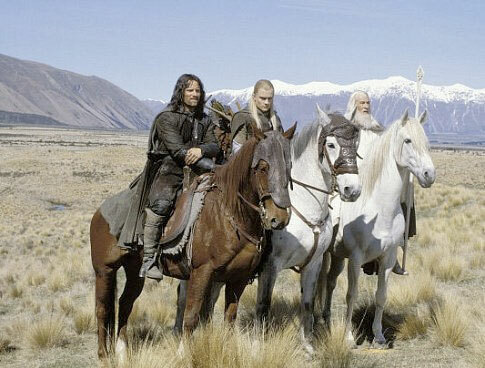 “The Lord Of the Rings: The Motion Picture Trilogy” comes with a total of 7 discs in the revealed box art below. The news comes with a let down though. ‘The Trilogy’ is just the theatrical release, not the extended versions. 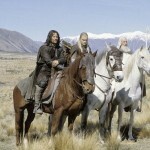 Sources close to Peter Jackson said the extended versions were being held for release somewhere around the debut of the new Hobbit films (scheduled for 2012 release), that according to an article from The Digital Bits. If the sources are correct, that would mean over three years wait for the extended version. No thanks. I have no problem with eventually owning both the theatrical and extended versions of this movie. I’m just hoping the Blu-ray release of “The Lord Of the Rings” trilogy cleans up some of the primitive looking special effects that were evident on the standard DVD releases. I’m talking about Legolas’ 3d stunt twin hopping around the back of a cave troll in ‘The Fellowship’ and again sliding down the trunk of a war elephant in ‘Return of the King’. There are also a couple rough forced perspective shots which could be cleaned up in which the hobbits look like they were placed in the frame using 70’s special effects techniques. However, even if those shots are not cleaned up, you know the LOTR trilogy on Blu-ray is a must have for your high-def collection. The film is so loaded with careful attention to details that most likely you’ll find yourself watching it over and over.